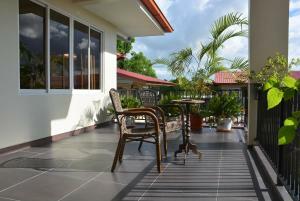 The apartment is lovely, and we had a good time in Paramaribo there. Everything is very new, well maintained and clean. It is well located, being only a few minutes walk from the main attractions or you can take a taxi for less than 2 dollars. But the highlight goes to Mr. Renault (owner). He was undoubtedly one of the best hosts we've ever had. Very attentive, honest and kind. On New Year's Eve he prepared some drinks and called all the guests to celebrate with him and his family. He helped us a lot in any situation. He was fantastic and we will definitely be there when we return to Paramaribo. The location is perfect, close to center, great supermarket, ATM and 24h taxiservice. The host is extremely attentive, personable and friendly, and there's a restaurant/bar on site. 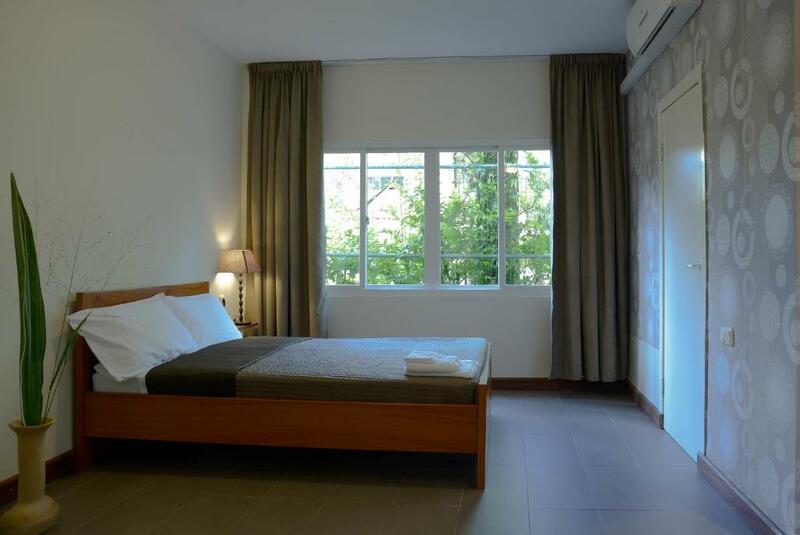 The rooms are quiet, comfortable and very clean, with lovely terraces facing the street in front or lush green garden in the back. 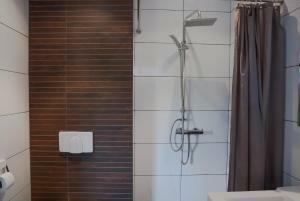 There are not too many rooms so it's an intimate, peaceful and overall very pleasant experience. Very good service. If you have a question or problem the host was so helpfull. He did immediatly help to solve or awnser it. Very friendly host. The appartment was nice, clean, modern and cosy excellent for 2 persons. 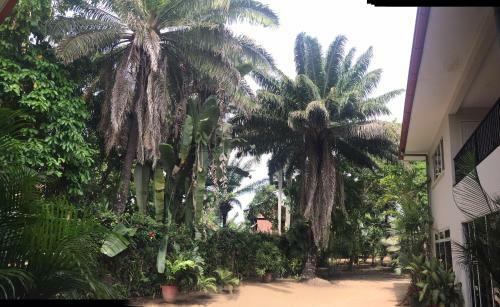 Beautifull garden. 2 tumbs up! Netjes en heel schoon, als zeer prettig ervaren. Dhr Mathurin is een fijne gastheer die je het gevoel geeft dat je je echt thuis voelt! En je graag ter dienst staat als het nodig is maar nooit nadrukkelijk aanwezig. Daarnaast is er bij het appartement gelegen een geweldig steakhouse waar je heerlijk kan eten. Ik kan dan ook echt een ieder dit prachtige appartementen complex aanraden. Het ligt super centraal en toch rustig. Heerlijk rustig op je terrasje met uitzicht op de tuin en fruitbomen. 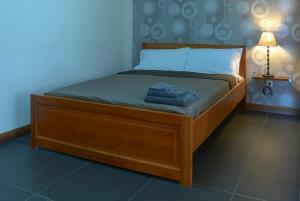 Lock in a great price for Mathurin Appartementen – rated 9.3 by recent guests! Located within a 5-minute walk of Paramaribo's town center, Mathurin Appartementen offers a restaurant. This self-catering accommodations features free WiFi. 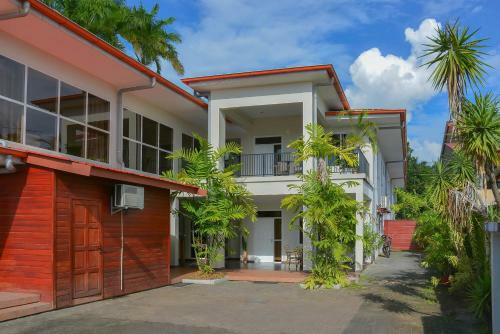 The property is 1.1 mi from Paramaribo Central Market and 0.6 mi from St. Petrus en Paulus kathedraal. The apartment will provide you with a TV, air conditioning and a balcony. There is a full kitchen with a microwave and a refrigerator. Featuring a shower, private bathroom also comes with a bath or shower and free toiletries. You can enjoy garden view from the room. 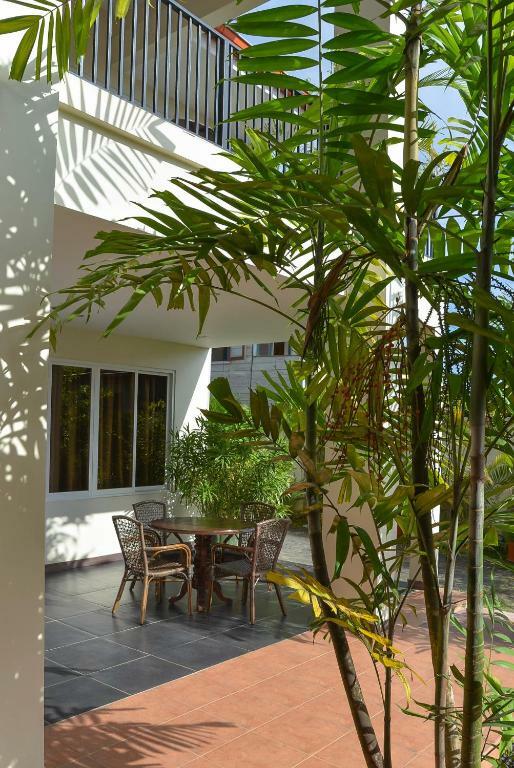 At Mathurin Appartementen you will find a terrace. The property offers free parking. If you feel like visiting the surroundings, check out Waterkant (0.9 mi) and Surinaams Museum (2.7 mi). Johan Adolf Pengel International Airport is located 28 mi from the property. When would you like to stay at Mathurin Appartementen? 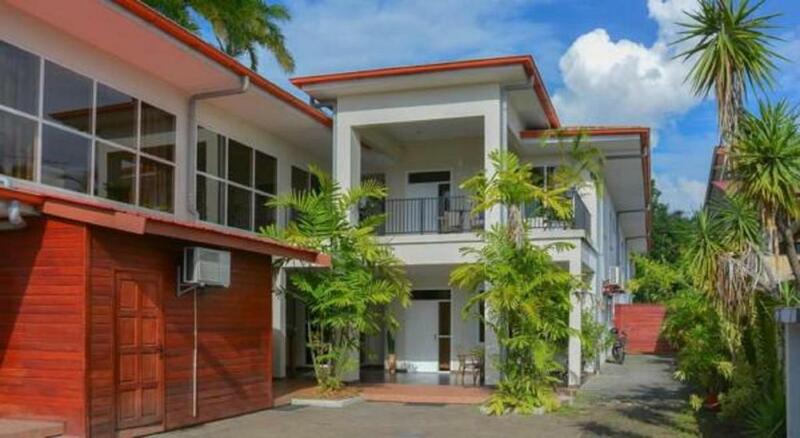 This apartment has a sofa, air conditioning and private entrance. House Rules Mathurin Appartementen takes special requests – add in the next step! Please inform Mathurin Appartementen of your expected arrival time in advance. You can use the Special Requests box when booking, or contact the property directly using the contact details in your confirmation.